Kids Solve This Problem Faster Than Adults! How About You? Are you one of those people who think that riddles are only for children? Well, they are not! Exercising the brain by solving all kinds of puzzles is useful for people of all ages! READ ALSO: Optical Illusions: How Many Faces Can You Find? There are some puzzles that kids solve faster than their moms and dads. Perhaps it is because of the way they think. The little ones manage to see a problem from a completely different angle. This is exactly the type of puzzle we're offering you to solve. Look at the picture. 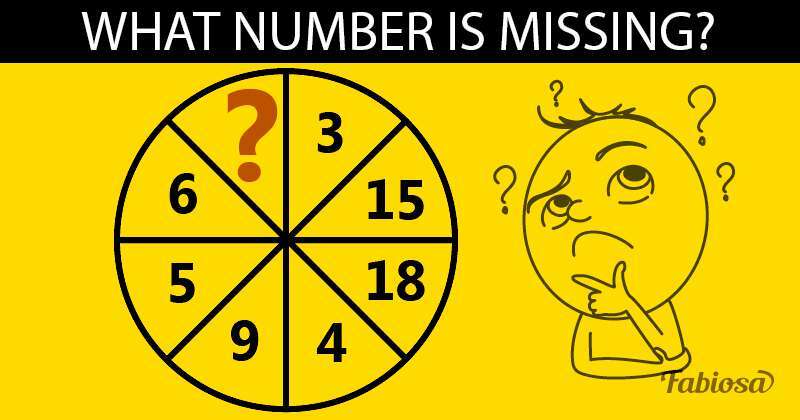 What number should be in place of the question mark? Don't hurry, you've got time. Focus and think what number it could be. What is the pattern here? Any luck? Do you want to call some kids for help? 6 x 3 = 18 and so on. The question mark is opposite number 4. Multiply it by 3 and you get 12. How fast did you find the right answer? Did you ask someone for help?